3 files for each half. Different links to download quicker. All links are interchangeable. 2 files for each half. Different links to download quicker. All links are interchangeable. 10 parts for each half. Interchangeable links. lol. I wonder what thredzo has planned. Ciao ForzaRoma2001. Welcome to the forum, why don't you tell us about yourself in the ? Not quite sure what you mean by a SD version of the HD video of the lazie game. What exactly is that? Only 2 files for each half! All links are interchangeable. Oh, yes I did see that link. I don't want to sound picky (even though I know I will haha), but the quality for that first link was not what I was looking for. The issue for me is I unfortunately have difficulties playing HD files. The ".TS" format for HD video has major problems playing on my computer, so thats why I was hoping that the same video is available in ".avi" format (or something similar to ".avi"). I downloaded the torrent file and tried to convert it, but the sound lagged majorly by the end of the conversion making the video a real mess haha (it takes away the fun when the commentators yell "he scores!" 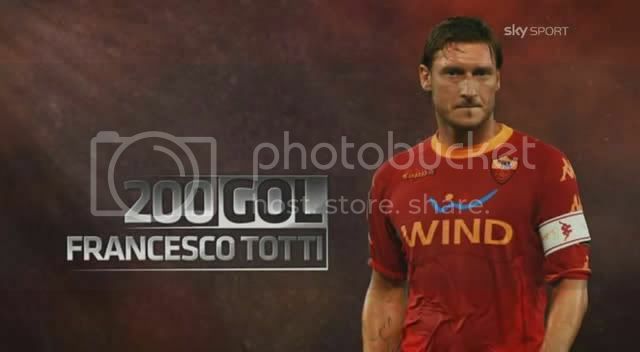 before Totti has kicked the ball haha). No worries man. Have you tried using ? That should play all file types I think. I also think it should be easy enough to convert a .ts. file to a .avi file. Have a look . Or is the problem with your computer, I wonder? Also try the second download in the post, called 'FULL MATCH HTTP – LONG DOWNLOAD', I think they should be a mpeg4 files. Yes I have a VLC player, but sometimes it force quits itself if i want to see parts later in the video. Its strange. And sorry, my mistake I should have said that I am on a mac! haha. I will try the long download and see how that goes, thank you for all your help here! I am also on a Mac. What OS are you ? VLC player does also do that for me too sometimes, even though it shouldn't. One way to get around that is to simply let it play and not click ahead to see later parts in the video. Not ideal, but it wont crash. These files can be temperamental but they should still work. Also try play them in other media players – is good, also . You could also try app to try fix the files. It can be good to iron out any bugs which may exist in a movie file and resave them. Haha I guess it's just not my day! I tried downloading the second half of the 'FULL MATCH HTTP - LONG DOWNLOAD' and it has an error while expanding! Man this is heart-breaking LOL!